Mrs. Antoinette Stewart Turner is a native of Huntsville, Alabama. She is the youngest child of Anthony and the late Velma Brownlow Stewart. She has three siblings: Brian P. Stewart, Kendrick (Kenya) Epps, and Heather N. Stewart. She is married to the Reverend Doctor Christopher Jermaine Turner and they are the proud parents of three handsome boys: Chancellor, Christian, and Jacob. Her life is characterized by using rich and profitable experiences in a broad area of accomplishments and services. She is a graduate of Grissom High School in Huntsville, Alabama. She attended Calhoun Community College, Decatur, Alabama, and graduated with a Bachelor of Business Administration in Human Resource Management from Athens State University, Athens, Alabama, and a Master of Science degree in Management from Florida Institute of Technology, Melbourne, Florida. Mrs. Turner has faithfully worked within the Christian community. Mrs. Turner accepted Christ at an early age and became a member of the St. Luke Missionary Baptist Church, Athens, Alabama, under the pastorate of her Father, Reverend Anthony Stewart. As a member, she was actively involved in the church serving in many ministries, and as a children’s Vacation Bible school teacher. In 2002, she united with Greater Hope Missionary Baptist Church, Athens, Alabama, where she faithfully served in the choir, usher board, and as the children’s Sunday school teacher. Currently, she is a member of Pine Grove Missionary Baptist Church, Harvest, Alabama, where she serves faithfully. She has led her church in the following community service efforts: a water drive to aid in the Flint Water Crisis. She also partnered with Dr. Thomas Sisk, Superintendent of the Limestone County Schools to donate backpacks to male and female students in Limestone County. Being able to work side by side with community leaders in efforts of creating a better tomorrow for our younger generation is key for community growth. Mrs. Turner volunteers as a committee member for the 4 Miles Kindness Foundation to assist families in Limestone and Madison Counties. 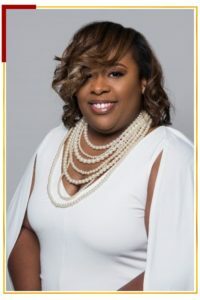 She began her career in the Department of Defense world in December 2004 and is currently employed as a Test Analyst with Venturi Aerospace, Inc., supporting the Missile Defense Agency, Redstone Arsenal, AL. As a wife, mother of three handsome boys, leading lady of Pine Grove Missionary Baptist Church, professional employee and mentor to others, she has the opportunity to meet people of all ages and ethnic backgrounds to make a positive impact in their lives. It is through these roles that she has gained an understanding of the constant needs of others. Serving in these various capacities, she always encounters an opportunity for mentorship, encouragement and assistance.